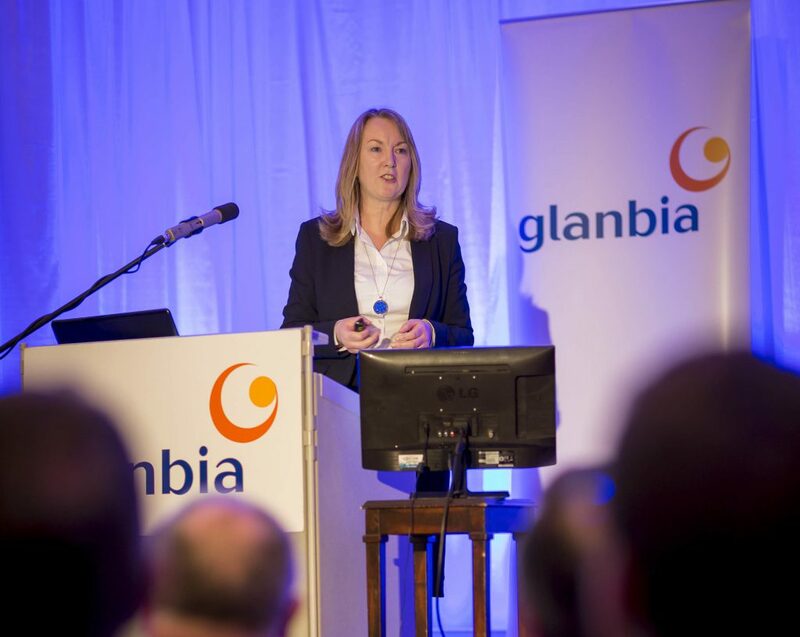 Siobhan Talbot Managing Director of Glanbia. Glanbia has announced its results for 2014, of total Group revenues of €3,522m up 6.9% on the previous year and a fifth consecutive year of double digit earnings growth. 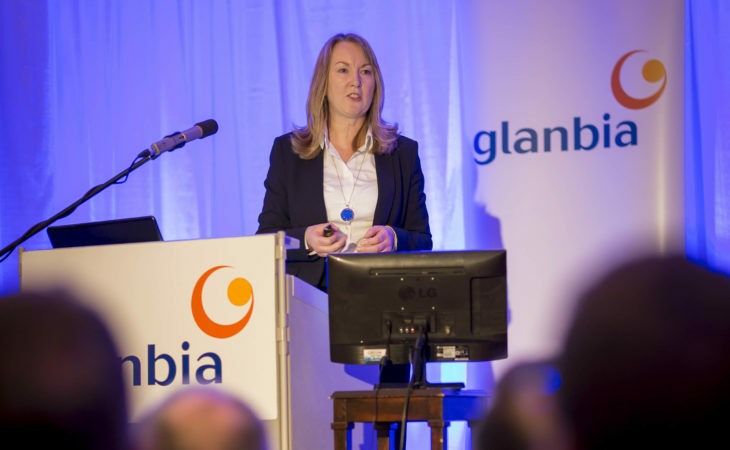 Siobhán Talbot, Group Managing Director, said the double digit growth for Glanbia in 2014 meant a 10.1% increase in adjusted earnings per share, constant currency. Glanbia announced revenue growth of 13.5% in Global Performance Nutrition and a 120 basis point margin expansion drove a 26.0% increase in EBITA (earnings before interest, taxes and amoritzation) . It reported ‘satisfactory performance’ by Global Ingredients in the context of challenging dairy market dynamics with EBITA of €100.4m, broadly in line with prior year. It also reported a positive outlook for 2015 outlook, with guidance of 9% to 11% growth in adjusted earnings per share, constant currency. The Group expects to achieve growth in 2015 of 9% to 11% in adjusted earnings per share, constant currency, with growth weighted towards the second half of 2015. It says that the outlook for Global Performance Nutrition is positive and continued investment in this business will ensure it will remain in a leading position in key markets and channels. “We are expecting growth in Global Ingredients in 2015 with an improvement in dairy market dynamics and solid underlying demand across key sectors. “Ongoing efficiency measures in Dairy Ireland are expected to underpin a further improvement in performance and Joint Ventures & Associates are expected to be broadly in line with 2014.